Emancipation Edict - Czar abolishes serfdom and frees Russian peasants. March 1 - Czar Alexander II assassinated with a bomb. Famine in Russia; estimated 375,000 to 400,000 fatalities. February - Minister of Education Bogolepov assassinated. April 2 - Interior Minister Sipiagin assassinated. Party splits into Menshevik and Bolshevik factions. February 8 - Russo-Japanese War begins with Japanese attack on Port Arthur. July 15 - Interior Minister Plehve assassinated with bomb. December 20 - Port Arthur surrenders to Japanese. January 7-8 - Major industrial strike in St. Petersburg. January 10 - Industrial strikes throughout Russia. January 18 - Government agrees to convoke Duma. June - Riots and massacres in Odessa. October 12-18 - Constitutional-Democratic (Kadet) Party formed. October 13 - St. Petersburg central strike committee formed, to be renamed St. Petersburg Soviet. October 14 - Strikes paralyze St. Petersburg. November 21 - Moscow Soviet formed. December 6 - General strike ordered by St. Petersburg Soviet. December 8 - Government orders troops in against Moscow insurgents. December 18 - Executive Committee of Moscow Soviet capitulates. Over 1,000 are believed to have died in the uprising. April 27 - Duma (First) opens. July 8 - Nicholas dissolves Duma. Stolypin appointed Chairman of Council of Ministers. August 12 - Attempted assassination of Stolypin. August 12 - Stolypin's first agrarian reforms. November 9 - Reform of communal landholding. February 20 - Second Duma opens. June 2 - Second Duma dissolved. November 7 - Third Duma opens. Session lasts until 1912. 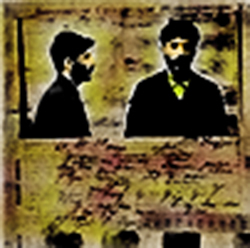 September 1 - Stolypin assassinated. November 15 - Fourth Duma opens. July - Russia mobilizes for war. July 19/August 1 - Germany declares war on Russia. August - Russia invades East Prussia and Austrian Galicia. April 15 - Germany conducts operations in Poland. July 9 - Russia begins withdrawal from Poland. July 19 - Duma reconvened for six weeks. August 22 - Nicholas assumes personal command of army. September 3 - Duma prorogued. November 1 - Duma reconvenes. December 17 - Murder of Rasputin. February 14 - Duma reconvenes. February 28 - Provisional Committee formed from Duma Council of Elders. March 2 - Nicholas abdicates. March 5 - Provisional Government dismisses governors and deputies. April 21 - Bolshevik demonstrations in Petrograd and Moscow. 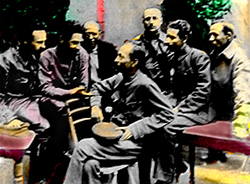 April 28 - Bolsheviks organize Red Guard. 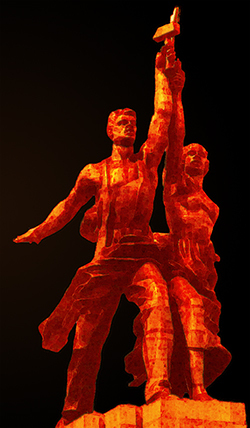 June 3 - First All-Russian Congress of Soviets opens. July 11 - Kerensky becomes Prime Minister. August 9 - Elections to Constituent Assembly scheduled. October 25-26 (Night) - Fall of Winter Palace. November 2 - Pro-government troops in Moscow surrender to Bolsheviks following 3 days of fighting. December 7 (December 20) - Cheka (secret police) established. January 6 - Constituent Assembly closed. January 8 - Third Congress of Soviets opens. March 14 - Soviet Congress ratifies Brest Treaty with Germany. August 30 - Head of Petrograd Cheka assassinated; Assassination attempt on Lenin. February 6 - Red Army takes Kiev. February 17 - Dzerzhinskii, head of Cheka, calls for creation of concentration camps. June 30 - Tsaritsyn captured by Wrangel. August 31 - Whites capture Kiev. 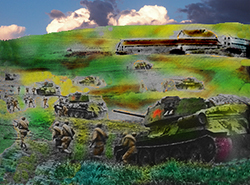 September 20 - Kursk captured by Whites. October 13-14 - Whites advance against Moscow ends with capture of Orel. October 20 - Whites abandon Orel. November 17 - Whites abandon Kursk. February 7 - Kolchak executed. April 25 - Poles invade Ukraine. October 20 - Red Army begins final push in Crimea to end war. November 14 - Wrangel evacuates army to Constantinople. March 17 - Red Army captures Kronstadt to end revolt. 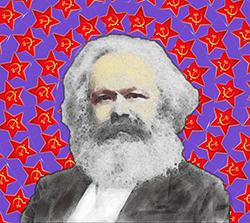 Policy of War Communism ended. Spring - Drought strikes grain-growing regions. May 17 - Formal revocation of decree nationalizing small-scale industry. July 25 - Russian government agrees to accept U.S. offer of aid for famine. October - State Bank created. November 10 - Rationing abolished. December - Party purges 259,000 from its membership. May 25 - Lenin suffers stroke. May - Stalin, Kamenev, and Zinoviev informally rule Politburo in "troika" arrangement. June-August - Show trial of SR opposition. Death sentences commuted to prison terms. December 15 - Lenin suffers another stroke. March 10 - Lenin paralyzed. April - Twelfth Party Congress reelects Stalin General Secretary. October - Number of concentration camps reaches 315. January 17-20 - Central Committee plenum removes Trotsky as Commissar of War. December - Fourteenth Party Congress announces industrialization plan. Kamenev and Zinoviev defeated. Kamenev loses position on Politburo. Deaths among inmates of concentration camps reported to be 18,350 for the year. 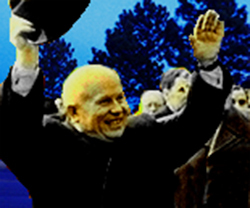 July 26 - Zinoviev removed from Politburo. October - Trotsky expelled from Politburo. NEP phased out as an economic policy. 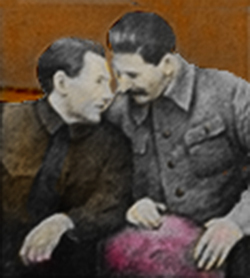 October - Stalin publicly assures Party that grain procurements going well. November - Trotsky and Zinoviev expelled from Central Committee. December - Grain Crisis - Fifteenth Party Congress learns of catastrophic drop in grain collections. January - February - Stalin's fact-finding trip to Siberia. Government implements policy of forced grain requisitions. July - Politburo decides to end forced requisitioning. October 1 - First Five-Year Plan officially approved. February - Introduction of food rationing. Spring - First Five-Year Plan formally adopted. April - Sixteenth Party Conference adopts more aggressive collectivization policy. Government figures show that over one million households had joined collectives. March 2 - "Dizzy with Success" Pravda article. Stalin publicly criticizes officials for "excesses" in collectivization campaign. 48 officials of People's Commissariat of Trade executed for "sabotage of food supplies." Fall - Famine lasting into 1933 begins. Estimated 5 to 8 million deaths. January - Stalin declares First Five-Year Plan a success. February - Second Five-Year Plan adopted (for 1933 to 1937). August 19 - 24 - "Trial of the sixteen." - First show trial of former opposition leaders. 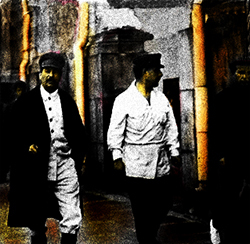 September 25 - Yezhov appointed head of NKVD (People's Commissariat of Internal Affairs). January - Show trial in Moscow. 13 sentenced to death. March 2 - Opening of last show trial. March 15 - Bukharin and Rykov shot. Eighteenth Party Congress adopts Third Five-Year Plan. March 12 - Finland concludes peace agreement with Russia - Finland cedes 10 percent of its territory, but remains independent. April 9 - German troops parachute into Norway, securing major airports; German forces put ashore at Oslo, Narvik, Trondheim, Bergen and Kristiansand. August - Trotsky murdered in Mexico. June 22 - Operation Barbarossa - German army begins invasion of Russia. January 27 - Russian forces relieve Leningrad, after two-and-a-half year siege. May 2 - Berlin falls to Russian army. Christmas Day - Nuclear reactor designed by Igor Kurchatov goes critical. August 29 - First Lightning - Russia successfully tests atomic bomb (Joe I) at Semipalatinsk site. 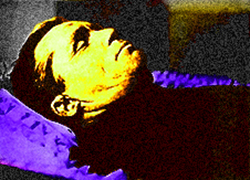 March 1-2 - Stalin suffers severe brain hemorrhage. December 8 - Arms control treaty (Strategic Arms Reduction Treaty) (START) between the Soviet Union and the United States signed in Washington, D.C.
November 9 - Berlin Wall comes down.